Thanks to the steps taken in recent years, Azerbaijan has become the transport and logistics hub of the region, Azerbaijani national secretary at TRACECA, expert in the field of transport and logistics Akif Mustafayev told Trend. Mustafayev noted that during the meeting of the Cabinet of Ministers on Jan. 11 dedicated to the results of socioeconomic development of 2018 and objectives for the future, President Ilham Aliyev touched upon the work done in the sphere of transport and logistics in 2018. One of the important tasks in this direction is the implementation of the subsequent stages of construction of the Baku International Sea Trade Port, which is currently the most modernized port of the Caspian Sea, the expert said. "For this, the experience of the advanced states is applied and the most modern crane devices and equipment are used," Mustafayev said. "We have 13 ferries, two Ro-Ro vessels and oil tankers moving in the direction of Kazakhstan and Turkmenistan. Other neighboring countries do not have ferries in this number," he said. A free economic zone will be created, which will include the Baku port as well, the expert said adding that work is also being carried out in this direction and a commission has been created in accordance with the relevant presidential decree. Mustafayev further added that the Baku Shipyard operates in Azerbaijan and builds modern vessels not only for Azerbaijan, but also for other countries of the region. He also added that cargo transportation is successfully being done along the "North-South" and "West-East" routes. He said that the “Lapis Lazuli” corridor has also been added to the routes and thus transportation will be carried out from Afghanistan too. "The first batch of trucks was sent from Afghanistan through the Turkmenbashi port across the Caspian Sea to Baku and then they left Baku for Turkey," Mustafayev said. The expert, addressing the issue of infrastructure development, noted that this year it is planned to complete the construction of highways that were not completed in 2018. "As the head of state noted, work is being continued to expand the road from Ganja to Georgia. It is planned to enlarge the road from two-lane to four-lane," Mustafayev said. 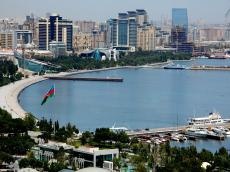 The expert added that in order for more cargo to pass through the territory of Azerbaijan, tariffs should be attractive. "It is also necessary to simplify customs procedures and pay attention to digital technologies so that all documentation comes electronically," Mustafayev said. He further noted that the country has gained good ranks and this success must be maintained and further developed. "The transport and logistics sector will develop in the future. Due to the fact that the head of state pays special attention to this sector and in every speech he notes the importance of this sector, so there is no doubt that success will follow in 2019," Mustafayev said. Presently, several routes from the East to Europe pass through the territory of Azerbaijan. Among such projects are the International North-South Transport Corridor, which is designed to transport goods from India and the Persian Gulf countries to Russia, Western Europe, the Baltic and Scandinavian countries.